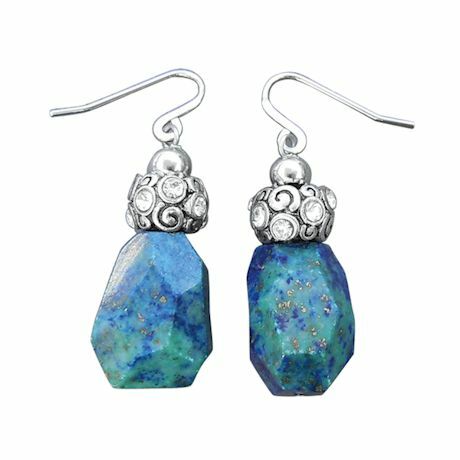 Asymmetrically cut to expose intricate marbling and vivid color. 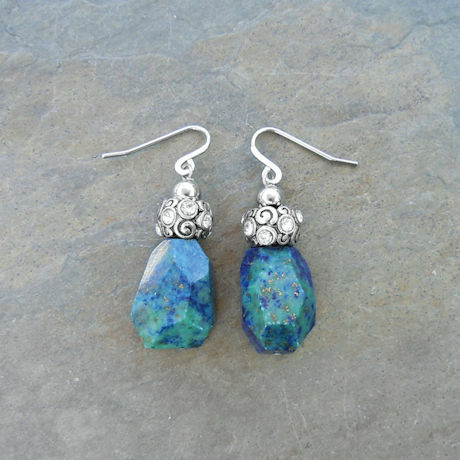 Dangling from crystal-studded settings the chrysocolla stones believed to calm negative energy. French hooks. Hangs 1¾" overall.